Bismarck (Gov Bergum’s Office) Gov. Doug Burgum announced Friday that Jamestown is being recognized with the Mobilizer Award for its Get Fit & Explore Initiative. The 2018 Main Street Awards honor communities that show excellence in elevating the three pillars of the Main Street Initiative. One of three local efforts addressing health issues such as obesity, this Jamestown project will increase physical activity by adding educational components and fun interaction to one of the local recreational paths. By making it convenient and more entertaining to use the trail, the community hopes to increase the number of people biking, walking and using other forms of active transportation. The Mobilizer Award recognizes community efforts in creating convenient, inviting and multimodal transportation options for residents and visitors. 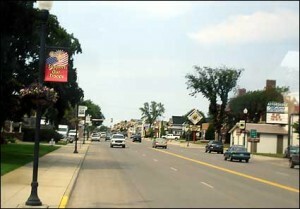 The Main Street Awards are a collaborative effort of the Office of the Governor, the North Dakota Department of Commerce and the North Dakota League of Cities. A selection committee made up of the collaborating agencies and partners judged the entries to make final awards. Additional details of award categories can be found at https://www.mainstreetnd.com/awards.